SalVinCo.com>12 volt LED Lights>12 volt LED Ceiling Lights - Recess Mount>12 volt LED Lights - Fixed > 12 volt LED Light (10-30vdc) - FriLight 8675 Pinto LED Ceiling Light with optional Toggle Switch, Multiple LED choices - see Bulb detail. 12 volt LED Light (10-30vdc) - FriLight 8675 Pinto LED Ceiling Light with optional Toggle Switch, Multiple LED choices - see Bulb detail. 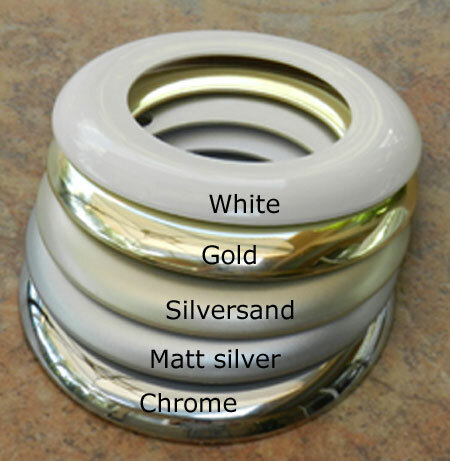 Plastic light fixture with 1/4 inch deep recessed (inset) patterned glass lens and toggle switch. 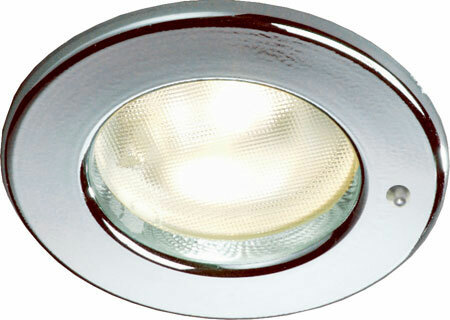 Energy Efficient G4 LED Bulb (equivalent to 25 watt Incandescent Bulb or 12w Halogen). Optional LED bulb (includes energy efficient Bee Green LED Bulb with fuse and transient suppressor to protect current overload and voltage spikes). All LED bulbs are 12v-24 volt (10-30v dc). All bulbs are fused, constant current and EMI free.